ABC Russian: First words in space were said in Russian! First words in space were said in Russian! Do you know that the first words in space were said in Russian? 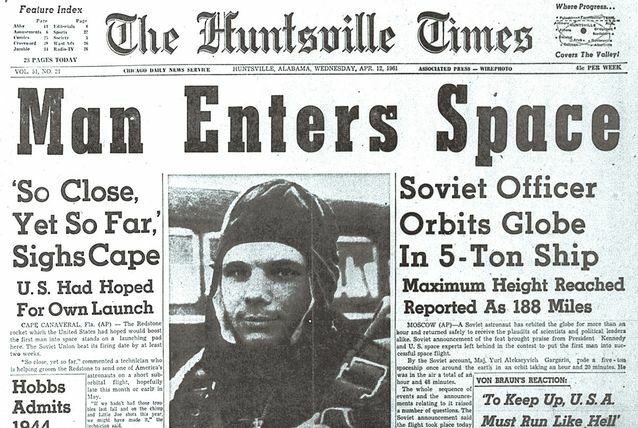 The first human spaceflight was launched by the Soviet Union on as a part of the Vostok program, with cosmonaut Yuri Gagarin aboard. Since that the 12 of April is the Day of the Space (День Космонавтики) in Russia.